The boys saw it's A. A. Milne birthday on 18th of January in a mag last week. I told them we will make some Pooh and Piglet bentos this week to celebrate. Packed the same ginger pork for my bento, added some greens and tomatoes as well. 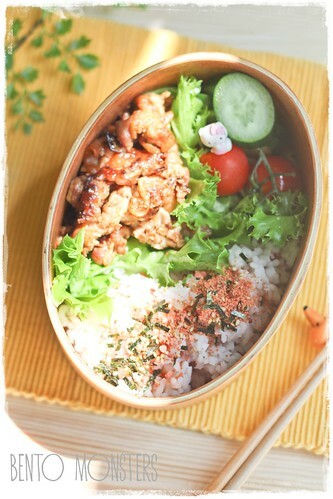 Now, how about sharing some of your past bentos related to the works of A. A. Milne? 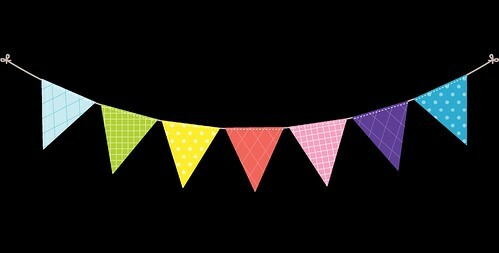 Read on to link up to a linky party hosted by Biting the Hand That Feeds You. We love classic Pooh! I woul love to get your ginger pork recipe. It looks yummy! Love this! The nori outline on Pooh turned out very well! I can so imagine it gets tedious working with those tiny nori details after a while. Good job! Love the classic Pooh! Great job and amazing details! Awesome! I can't believe you cut the nori outline. Great theme! So bad that I didn't know about it and now it's gonna be a weekend. 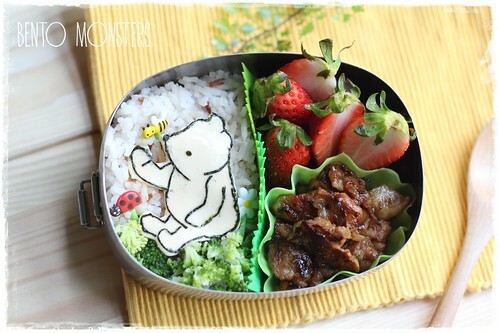 This classic Pooh looks really sweet and ginger pork seems delicious. Next great bento ^^. wow! 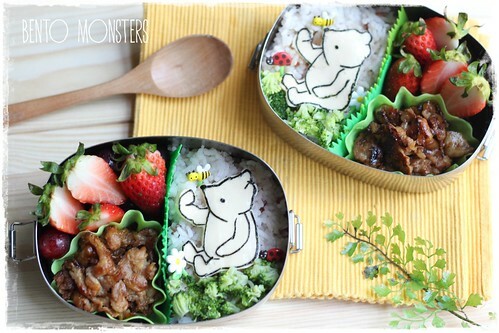 your classic pooh lunch looks great. the nori outlines is so much work, wonderful job as usual! Tk u, Shirley! Enjoyable when I started out, but really frustrating when I had to re-do. Oh...you are so talent in drawing! Love this Classic Pooh! Lol, I've no talent in drawing, cut these fr nori. So stinking adorable! I love it! You do such great work! Very cute and elegant! Must be hard to cut the nori for the drawing. I love ginger pork, I have to share my recipe too as I was asked in the blog for it. I LOVE this. Classic Pooh is the best! Fantastic job!